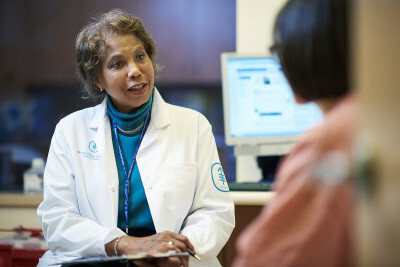 Breast cancer specialist Diana Lake speaks to a patient about clinical trial options. At any time Memorial Sloan Kettering Cancer Center is conducting hundreds of clinical trials to improve care for many types of cancer. Use the tool below to browse our clinical trials that are currently enrolling new patients. Each listing explains the purpose of the trial, the trial’s eligibility criteria, and how to get more information. The list below includes clinical trials for adult cancers. Please visit our pediatric cancer care section to find a pediatric clinical trial.